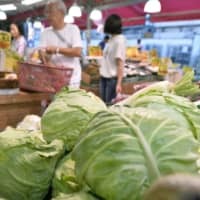 Spending by Japanese households fell for a second straight month in October as a rise in vegetable prices due to bad weather caused consumers to tighten their purse strings, government data showed Friday. Consumption by such households dipped 0.3 percent from a year earlier to ¥290,396 ($2,576), according to the Ministry of Internal Affairs and Communications. The decline, however, was not as steep as a 1.6 percent fall in September caused by a powerful typhoon that hit Osaka and the surrounding area and an earthquake in Hokkaido. Those disasters particularly hurt consumption as people stayed at home. 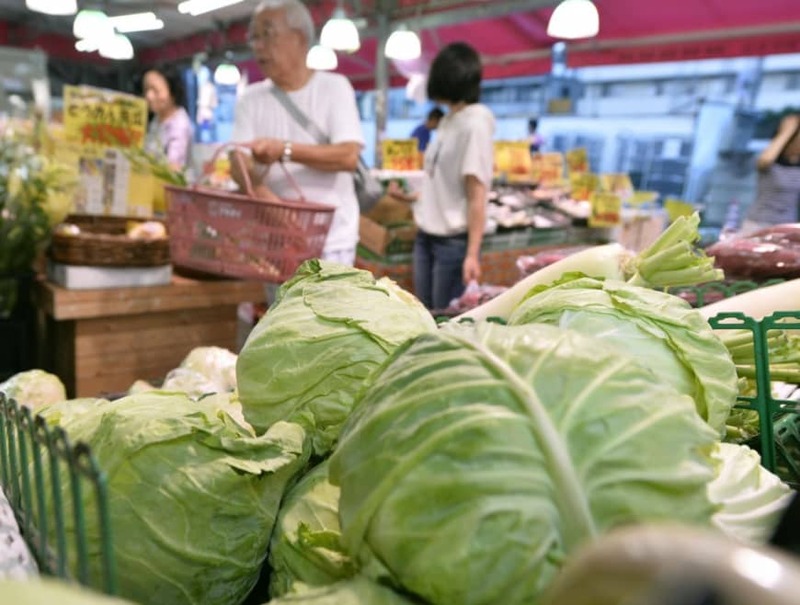 A steep rise in the prices of fresh vegetables such as spring onions and Chinese cabbage put consumers off spending, said a ministry official who briefed reporters. Earlier data had shown fresh vegetable prices soared more than 20 percent in October compared with a year earlier as bad weather hurt crop production. Expenditures on home renovations also fell, while demand for cold weather clothes was weak due to temperatures remaining relatively warm through the month. The ministry maintained its assessment that household spending is “pausing in its recovery” for the second straight month. Household spending, a key factor for private consumption that accounts for more than half of Japan’s gross domestic product, has been slow to pick up as companies remain reluctant to raise wages. The average income of salaried households with at least two people fell 2.9 percent to ¥515,729 after adjusting for inflation, the data showed.